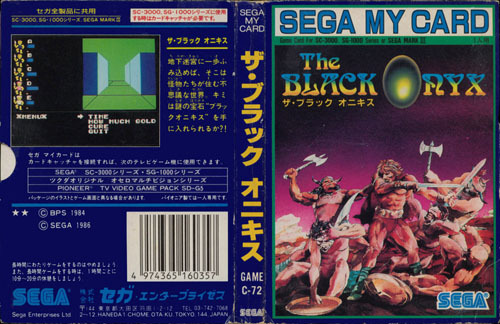 Dungeon RPG game originally released by BPS in 1984 and ported by Sega to SG-1000 in 1986. It is the last SG-1000 MyCard to have been released. The Black Onyx is a full-featured RPG where you can build and manage a team, hire new warriors, buy equipments, etc.